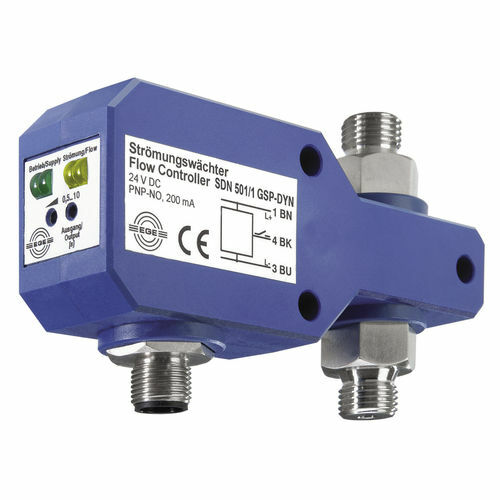 The flow sensor SDN 501/1 GSP-DYN measures even smallest dosing quantities. It reacts to the onset of flow of a liquid medium, caused, for example, by the actuation of a dosing piston. The sensor detects almost all types of media. This makes it suitable, for example, for monitoring minimal lubrication systems as well as the dosing of additives, chemicals and detergents. The sensor has no moving parts. The flow is monitored electronically - the medium flows unhindered through the stainless steel sensor tube.